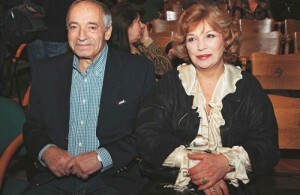 Famous Soviet and Russian theater and cinema actor. People’s Artist of RSFSR. Tsarskoye Selo Artistic Prize Laureate, Winner of K.S. 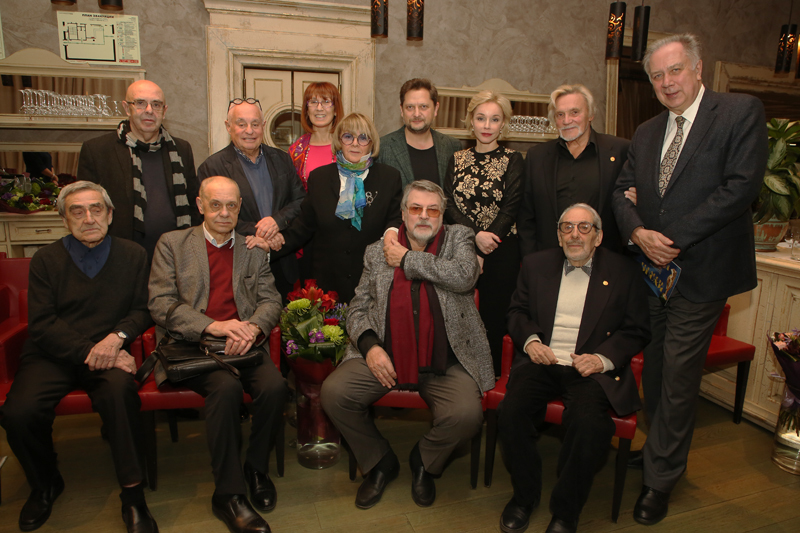 Stanislavsky Theater Prize for a contribution to the acting development. Companion of the Order of Merit for the Fatherland (2nd and 3rd class) and the Order of Friendship. Valentin Gaft was born to a non-theatrical family in Moscow on September 2, 1935. His father losif was an advocate, a surprisingly modest but strong and proud man. He went through the whole war and rose to the rank of major. Valentine’s mother taught him to be organized and to appreciate order and cleanliness. In 1953 Valentin Gaft finished school and passed three admission tests to the Moscow Art Theater School. He became a student of V. Toporkov. 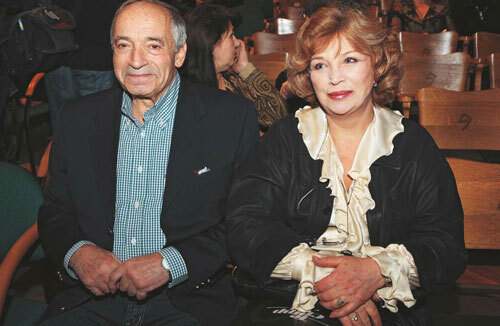 Among his classmates were Evgeny Urbansky, Oleg Tabakov and Maya Menglet. Gaft’s artistic career. Spectacles directed by Efros became all-time classics. Valentin Gaft didn’t work much with Efros and wasn’t offered a lot of roles. But this experience became a basis for his mastership. One of his best characters was Count Almaviva from The Marriage of Figaro, in which Gaft performed on stage together with Andrey Mironov. It was after Efros, in 1967. Today Valentin Gaft is among top ten actors. He is very popular. The audience loves the artist and gives him a great ovation. He is always in demand and able to choose from a wide range of roles and screenplays. There is a special type of actor’s talent. It grows and becomes stronger while its possessor gets older and more experienced. In such case the talent never runs out. Valentin Gaft gained his power little by little but consistently. Brilliant and ironical Almaviva on the stage of the Theater of Satire; fierce and tender Othello from a spectacle directed by A. Efros; shy intellectual scared of love from Daylight Train, a television film by Inessa Seleznyova; grim and mesmerizing Sharper from a television spectacle Players based on Gogol’s play; many great performances in Sovremennik including such brilliant character as Lopatin from Simonov’s novels; villain and murderer from The Mystery of Edwin Drood series, Godfather from Thieves in Law, Beria from Balthazar’s Feasts; mediocre writer from Semi-fluffy House Cat by Vladimir Voinovich and Gregory Gorin, Colonel from a Pyotr Todorovsky film Encore, Once More Encore!-, Higgins in Pygmalion by Bernard Shaw. There are only few of Gaft’s excellent performances. He never repeated himself. His characters from Eldar Ryazanov’s are especially intriguing and memorable. Father and commander, devoted man of courage and noble colonel. He conquered many cities and hearts of women and became strange and odd while living in barracks. This man has a subtle sense of honor and has no respect to bullets and chiefs. He has neither home nor family. A loyal hussar that sacrificed his life for his native land. A dashing horseman from the Say a Word for the Poor Hussar TV movie. A garage co-op chairman Sidorin was quite grotesque and farcical. However, Gaft’s artistic sense helped the director to add more reality to such a satirical film as Garage. Odinokov, an official from the General Department of Time Management. A former soldier that became a Chief of Culture. A managing blockhead and servant from A Forgotten Tune for the Flute. And, finally, a homeless leader called President from the Promised Heaven tragicomedy. His character is a challenge for conformity. President is a former communist. He denied dogmas of Marx and was imprisoned in a camp. Valentin Gaft could create a clean and solid image of the leader that knows the difference between meanness and nobility. Valentin has a tender attitude towards his profession. For him such words as Art, Theater, and Cinema are always capitalized. His mission is his selfless service for the sake of the art. He gives himself up to spectacles and films. It’s like breathing for Gaft. The stage is his temple and he is a real theater fanatic. A well know artist Valentin Gaft is also famous as a sharp and sometimes viperous epigrammatist. His epigrams demonstrate his extraordinary poetical talent. People often recite them. Valentin has written several books including such as Verse and Epigram; Valentin Gaft: …I Gradually Cognize…-, Life is Theater (together with Leonid Filatov); Red Lights; Garden of Forgotten Memories; Shadows on the Water; Verses, Recollection, Epigrams. In 2010, for his 75-year anniversary, the actor released an audio book of his verses entitled There Is No Escaping Thoughts. He still moves in all directions of his talents at the same time against all physical laws.